Protective Suits There are 2 products. Here at Resmar we are experts in the field of protective suits. We have researched the market carefully to make sure our range of suits is not only comprehensive but also the highest quality in terms of performance, reliability, comfort and safety. 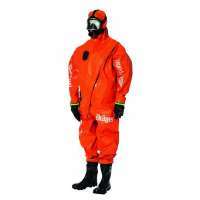 These suits have been thoroughly field- tested and comply with all modern industrial safety regulations and requirements. 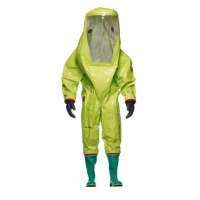 We are proud to offer our customers protective suits from highly respected manufacturers like Drager, MSA and Respirex. These three companies have all distinguished themselves in the field of designing and manufacturing dedicated protection equipment to help safeguard people who work in high risks environments. The quality and performance of these suits is simply excellent, when it comes to protecting workers in contaminated areas in pharmaceutical, petro -chemical industries, hospitals. Biological research laboratories, nuclear sites and civil defence situations. Ensuring manufacturing excellence, reliability and comfort. We have split the products into two sub categories, chemical protection and gas tight suits, they cover a broad range of applications and hazardous environments, if you need any support or advice when it comes to choosing the right protective suit for your particular requirements, please contact us, we will be happy to advise you. We offer full training as well as technical support. Please click through for more detailed descriptions and check out the technical specs from the manufacturers data sheets.